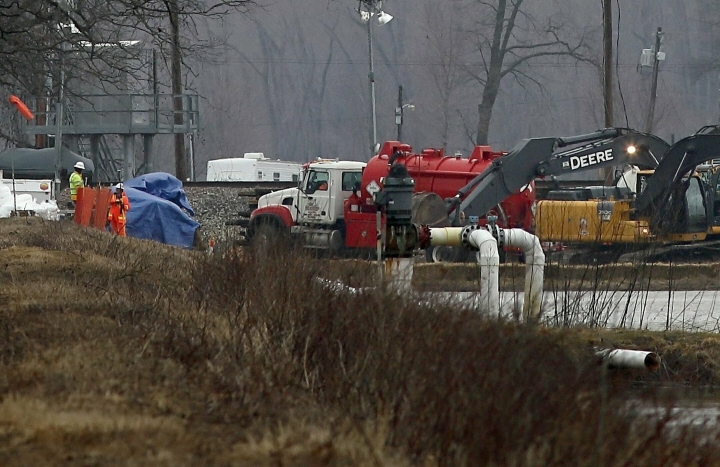 TransCanada says its Keystone pipeline is likely the source of an oil leak near St. Louis. Spokesman Terry Cunha in a Friday statement said crews continue to excavate the St. Charles County area where the leak was discovered Wednesday. He said TransCanada's preliminary investigation points to Keystone. A spokesman for Enbridge Inc. said it's "highly confident" that its nearby Platte pipeline wasn't the source. Cunha says there's no estimated time for the Keystone pipeline to return to service. Enbridge Inc. says it's "highly confident" that its Platte pipeline wasn't the source of an oil leak near St. Louis. TransCanada's Keystone pipeline also runs through the area where the leak occurred . A spokesman for the company didn't immediately return an Associated Press request for comment Friday. A Missouri Department of Natural Resources spokesman says excavation of the Keystone pipeline in St. Charles County will begin Friday. The leak was discovered Wednesday. It prompted closures of sections of both the Keystone and Platte pipelines as crews sought out the source. The Department of Natural Resources has said the oil did not get into any waterways.